A little known beauty pageant down in Ozamiz City is suddenly getting a lot of attention after the search for Ms. Dimaluna Tourism 2016 yielded a winner who gave the most thought-provoking answer to a sensitive question that many candidates would have wanted to avoid replying to. 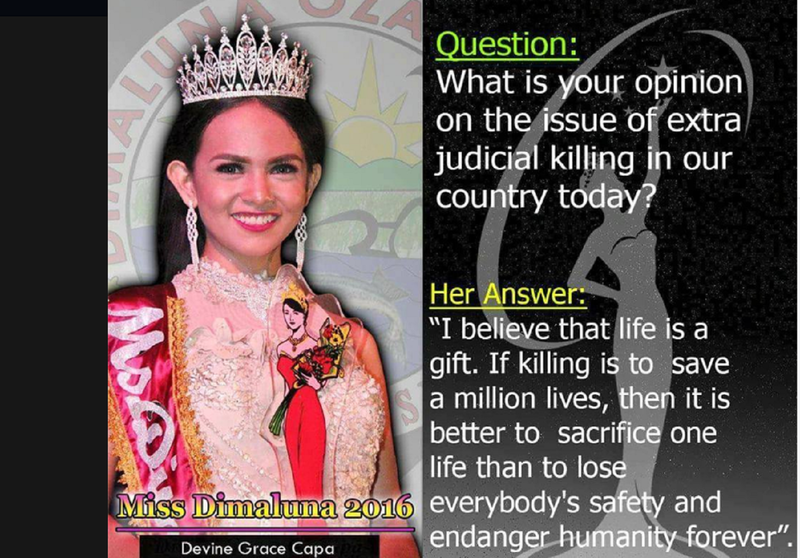 For whatever its worth, Devine Grace Capa – now Ms. Dimaluna Tourism 2016 – is now being talked about in many online discussions. What is the question and the answer? 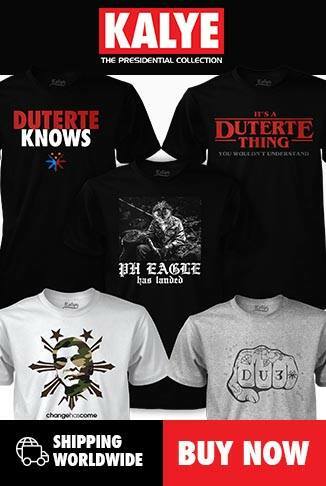 Question: What is your opinion on the issue of extra judicial killing in our country today?